If you consider the only "real" ski days to be ones with at least a foot or two of fresh pow, then you're the guy the Volcom L GORE-TEX Snowboard Jacket was made for. 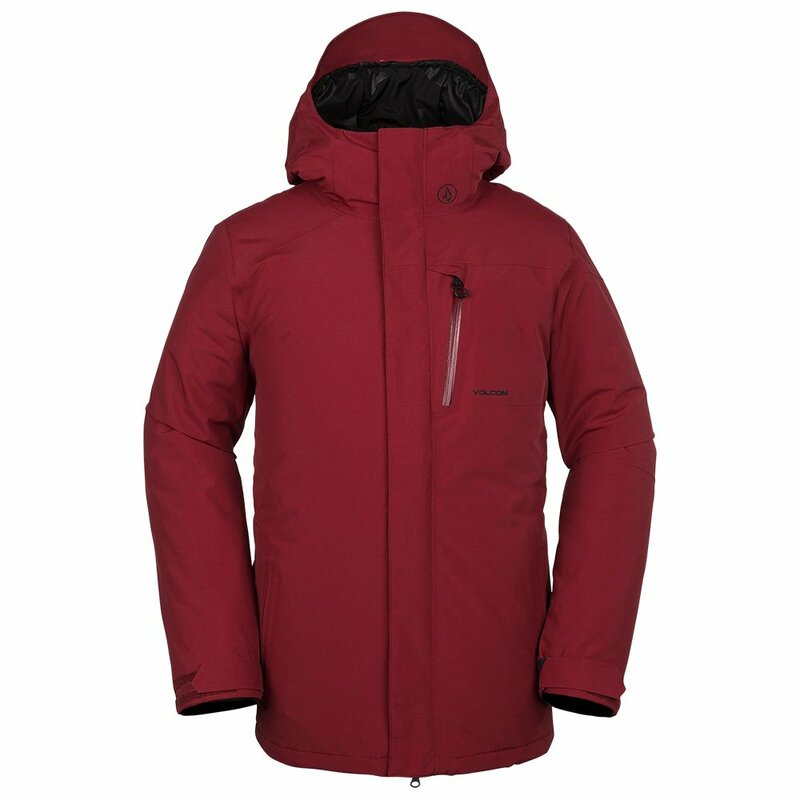 This waterproof ski jacket uses industry-leading GORE-TEX® fabric to create a totally waterproof shell. But don't worry if you start breaking a sweat after an hour or two of hiking and traversing, as this jacket has a breathable lining system, too. And if you get snow in your pants, don't blame it on your gear: the GORE-TEX® Jacket has a long cut and can be zipped in to select Volcom pants for a head-to-toe defense against snow and water. Snow-focused features include goggles and media pockets, a whistle zipper pull, side vents, and an adjustable powder skirt. A longer cut adds extra protection for your bottom against snow, or zip it into matching pants for heavy snow days. This waterproof men’s ski jacket has the GORE-TEX® Guaranteed to Keep You Dry guarantee.